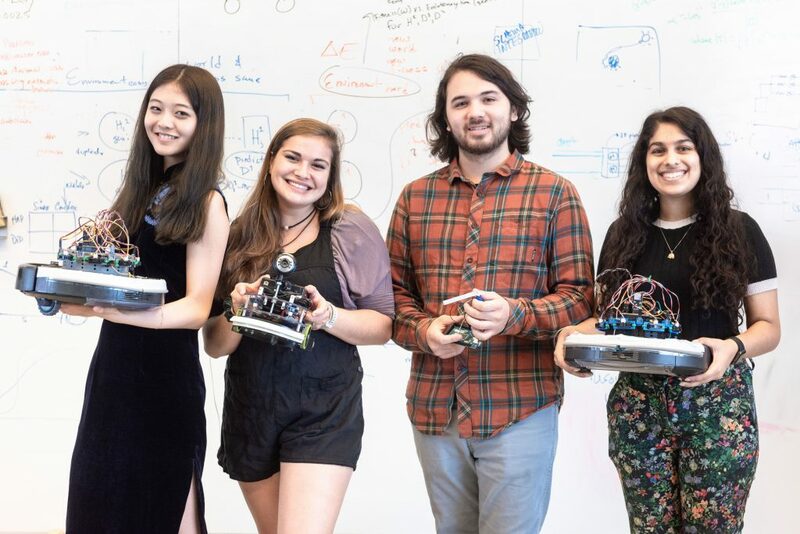 Pictured above are students Wenxuan Guo ’20, Lindsey Sample ’20, Benjamin Tai McCarthy ’20 and Parveer Kaur ’20, who conducted robotics research this summer as part of Vassar’s Undergraduate Research Summer Institute (URSI). 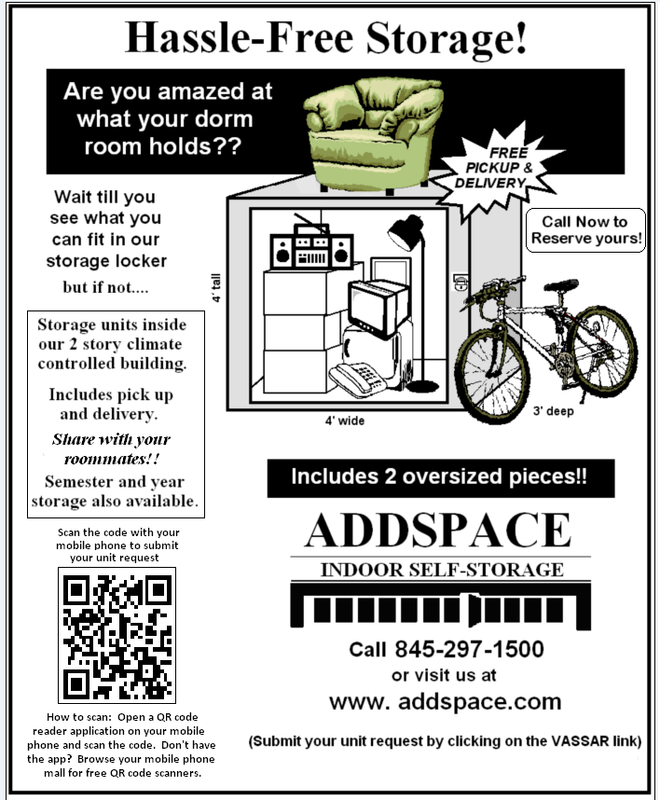 Courtesy of Vassar College/Karl Rabe. Vassar has seen significant changes to its academic landscape in recent years: The Bridge for Laboratory Sciences, opened in January 2016, updated and expanded resources for the sciences. The Fall 2016 approval of the 2-2-1, or “dash-1,” policy will alter curricular structures and teaching loads beginning this academic year. Finally, last fall ushered in the Engaged Pluralism Initiative (EPI), which aims to cultivate a more inclusive and dynamic campus and classroom community. The most recent development occurred this June, when the College announced that it was one of the recipients of the $1 million Inclusive Excellence grant from the Howard Hughes Medical Institute (HHMI). Over the next five years, the grant will support collaboration among faculty and students to create and reform curricula to better serve students traditionally underrepresented in the STEM fields. 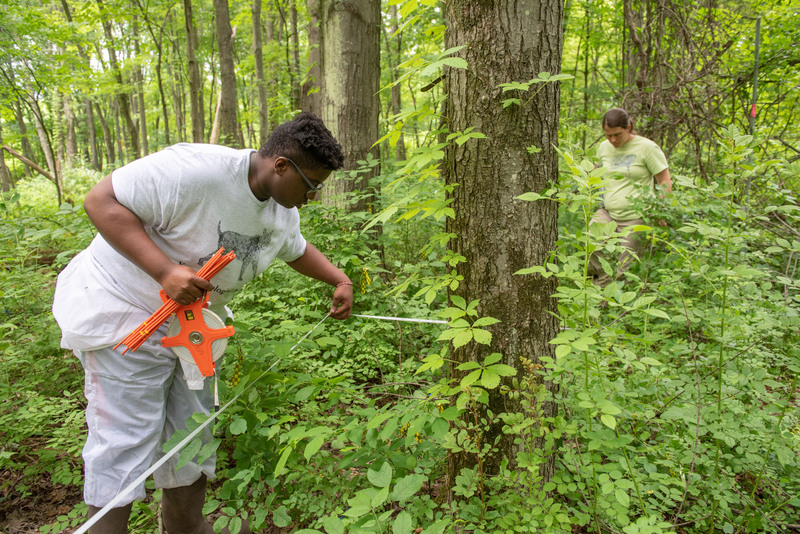 Takunda Maisva ’19, a biology major and URSI participant from Joliet, IL, spent the summer studying deer habitat at Vassar Farm. Courtesy of Vassar College/Karl Rabe. Vassar is one of 33 colleges and universities around the country to receive the grant this year, adding to the 24 schools chosen in the 2017 round of applicants. HHMI, the largest private sponsor of science education in the United States, is partnering with the Association of American Colleges and Universities (AAC&U) to implement and evaluate the various facets of the grant, the details of which will be tailored to the environments and needs of individual recipient institutions. Schwarz worked on the proposal to HHMI alongside Professor of Chemistry and Associate Dean of the Faculty Teresa Garrett, Professor of Education and Director of Asian Studies Christopher Bjork and Associate Professor of Mathematics and Statistics Jan Cameron. The grant initiative will begin this fall semester with faculty training, assisted by the National Alliance for Partnerships in Equity. Faculty members will lay the foundations for a curriculum involving clusters of students and professors who will investigate global Grand Challenges. This program is set to go into effect in the 2019-20 school year. These clusters will consist of three to four professors who, along with students, investigate the Challenges in introductory courses, incorporating various perspectives from their respective disciplines as well as inclusive pedagogies. The program will also encourage research projects—including ones that engage the community—building on these introductory investigations. Not only does the holistic approach of the program fit seamlessly into Vassar’s embrace of interdisciplinary learning, but it also fosters collaborations that extend beyond the classroom and the academic year. Finally, it encourages a broadening of perspectives within its affiliated courses. As Garrett added, since the Grand Challenges are global by nature—embracing hard scientific research as well as sociological and cultural factors—the courses and initiatives stemming from the Inclusive Excellence grant will hopefully also appeal to non-STEM students and students not ordinarily inclined to take science courses. The 57 recipients of HHMI’s Inclusive Excellence grant will carry out the initiative through diverse approaches, but all are committed to supporting diversity and inclusion in the sciences—which has historically been lacking. At Vassar, a 2017 internal study revealed to faculty and administrators that students from groups historically underrepresented in the sciences may encounter barriers to success. For the Vassar team involved in the writing of the grant proposal, this data illuminated a need for curricular change.